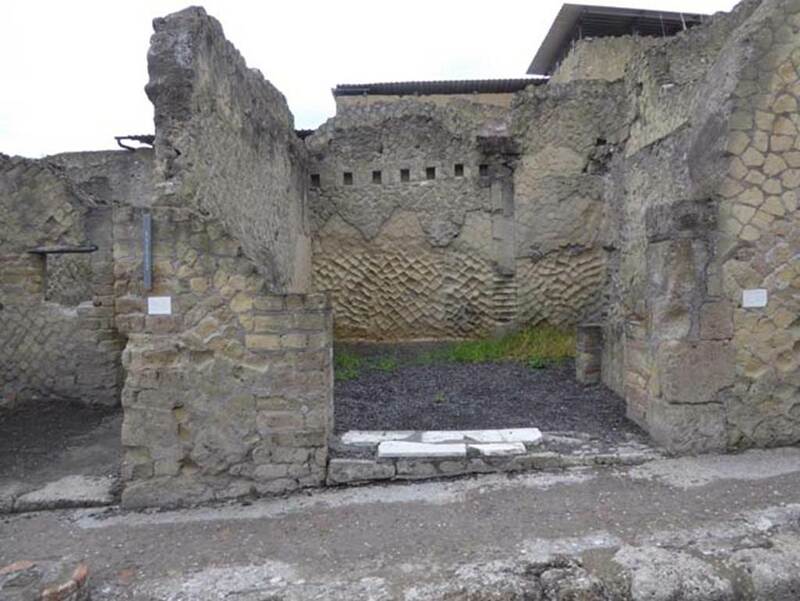 Herculaneum V.23. Shop. Excavated 1933. Wallace-Hadrill wrote that this was a single roomed shop, perhaps with stairs up. No decorations. May have belonged to house at No.24, but not linked. 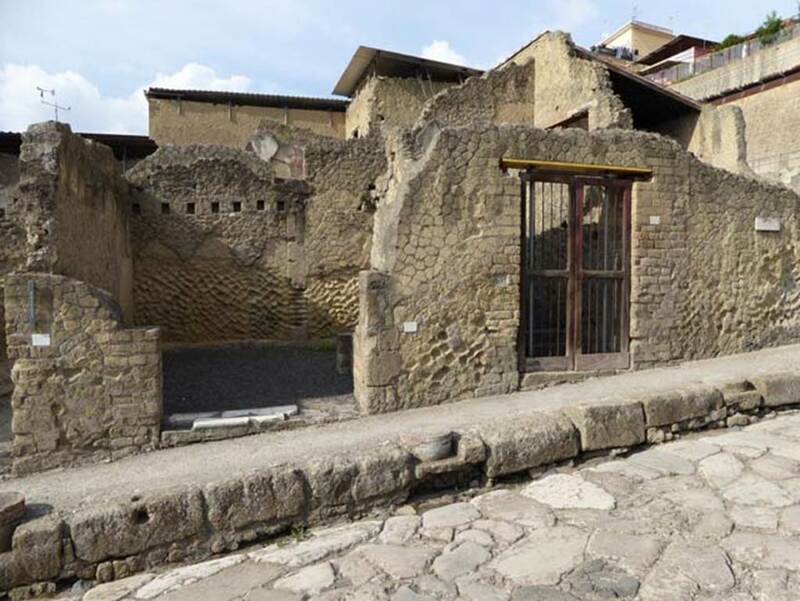 V.23 on left, Herculaneum, October 2014. Entrance doorway. Photo courtesy of Michael Binns. On the right is the entrance doorway to V.22, steps to upper floor. 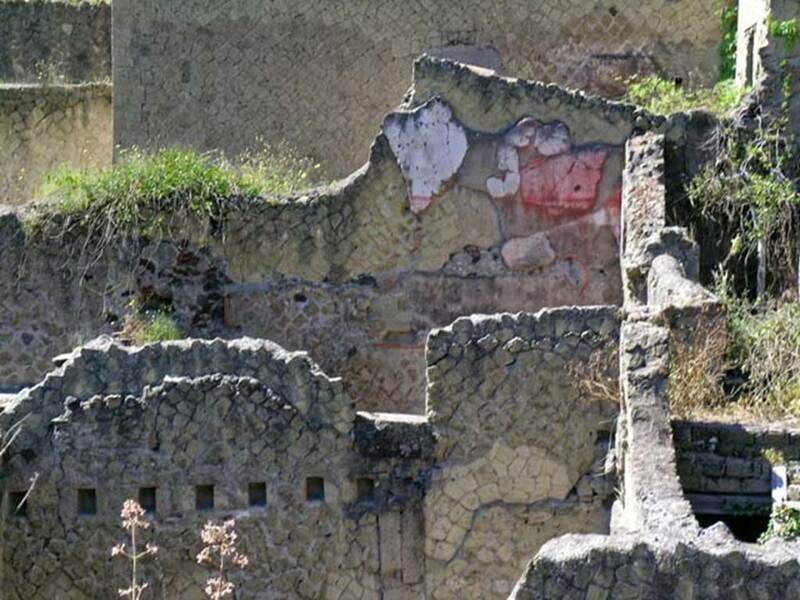 V.23 Herculaneum. May 2004. Looking west across V.23 in front, and two rear rooms of V.24, behind. V.23 Herculaneum, October 2015. Looking west to entrance doorway. Photo courtesy of Michael Binns.